That constant frustration and lack of sleep feeling for both you and your spouse has reached its end, because today is the day you will finally try to take care of that snoring problem. Maybe you are having a tough time concentrating and feel physically ill? This may be due to sleep apnea, which Dr. Sykes, a dentist in Reno, Nevada, and our well-trained staff has more than enough experience with. Our office near Spanish Springs and Sparks NV has compassionate and caring answers for you here at The Reno Dentist, and we will make sure all of your questions are answered. The benefits of snoring and sleep apnea treatment include prevention and intervention in other health problems such as stroke, hypertension and heart failure. When you are sleeping and suddenly awaken to a sensation of choking or persistent coughing, or if your loved one constantly prods and pokes you during the night because it sounds like your snoring throat seems to close, allow our office to conduct a sleep apnea test as soon as possible. Do not wait another minute. At The Reno Dentist, our staff is here to alleviate your fears. We will assist you in planning and receiving the best care possible for sleep apnea. Dr. Sykes is skilled and highly trained to provide a range of services for sleep problems with the latest technology. 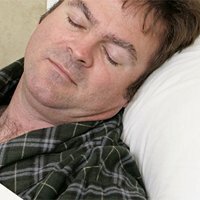 Our office will guide you and inform you of the snoring and sleep apnea treatment alternatives available, from simple sleeping techniques to dental appliances and throat or nasal surgery. No matter your selection, we will respect your choices and provide thoughtful and empathetic care to eliminate life-long health risks for you or your loved ones. In fact, if we can stop your snoring, you may live longer and feel much happier. Our agreeable staff at The Reno Dentist office is here to serve you with highly professional and skilled dental care combined with proactive concern for your problem with sleep apnea. You and your spouse will leave our office knowing there is a good night’s rest ahead for the both of you. To get started with your snoring or sleep apnea treatment, contact our Sparks and Spanish Springs Nevada area office in Reno today. You can call us using the number above or send us an e-mail using the form to the right.